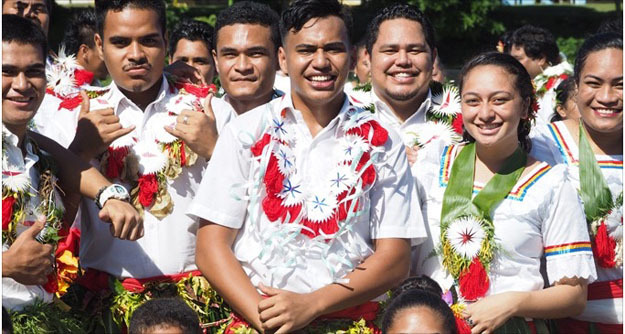 WITH close to 10,000 Rotumans living here in Fiji, the Fiji-Rotuma Association is worried that half of the population are not familiar with their own mother tongue. Association chairman Pasirio Furivai said the Rotuma Day celebration was an opportunity for young Rotumans who did not speak their mother tongue to interact with other Rotumans, giving them a chance to learn the language. With the theme, "Row forward Rotuma, a new era dawns", the people of Rotuma have been encouraged to continue to teach their children and young ones the language for fear that it would soon become extinct. 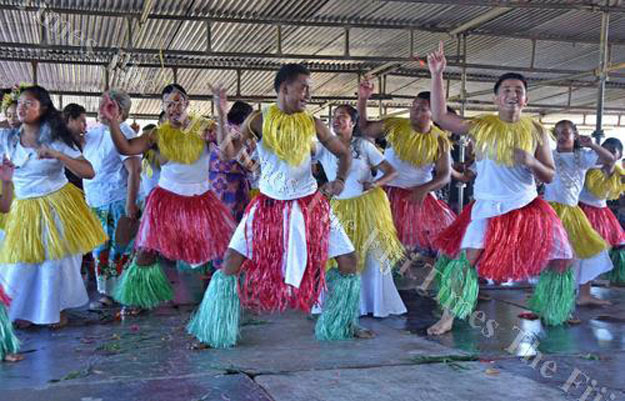 "Every year I talk about the critical situation the language is in, on Rotuma Island we have about 2000 people, in Fiji we have about 10,000 Rotumans; however, half of those do not speak the language and so getting together every year is a very important event for us, because we get to revive our culture," Mr Furivai said. "We also engage our children in poetry, chanting, dancing and songs which is also a way of helping them speak the language and to understand their culture." He said the celebration was also a platform to raise money which would be used to build a cultural centre that could be accessed by Rotumans in knowing more about their culture and tradition. He said there was no specific target set for the amount of money that was to be raised this year, but more importantly was to give Rotumans a chance to meet up and share experiences. The celebration also included the inaugural yam competition. speaking at Furnival Park in Toorak, Suva yesterday. and we engage our children in poetry, chanting, songs, and dance," he said. living in Suva don't speak the language." There are seven districts in Rotuma. very happy with the turnout," he said. He hoped they would continue to be interested in functions as such, he said. Yesterday's theme was: 'Row forward Rotuma a New Era Dawns'. OPPOSITION leader Ro Teimumu Kepa called on the people of Rotuma to strongly reject two Bills that are before Parliament. Ro Teimumu said as many Rotumans were out celebrating Rotuma Day today, they should stand united in protecting their island home. The two Bills — No.6 and No.7 of 2015 — were earmarked to replace the 89-year-old Rotuma Act and the 57-year-old Rotuma Lands Act. The Bills were tabled in Parliament last year. Changes proposed include the composition of the Council of Rotuma and establishing a forum for the people of Rotuma. "Rotuma plays a very important part in Fiji's history and you as Rotumans have the indigenous right to fulfil your traditional cultural role and nurture your resources," Ro Teimumu said. "Rotuma, its environmental and cultural resources are your sole responsibility to decide upon. "No one from the outside world has the right to impose their arbitrary will over you or deny your indigenous right." Ro Teimumu also wished all Rotumans a happy Rotuma Day. It is believed that the Rotuman language is slowly dying out and it’s important that the younger generation is being taught the traditional aspect of their culture especially in the twenty-first century. Fiji Rotuman Association Chairman, Paserio Furivai says majority of the Rotumans have migrated from the island over the years and have drifted away from their customs. 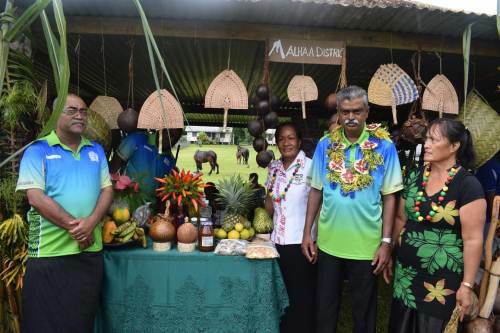 Furivai says more than eight thousand Rotumans have called Fiji their home and every year they celebrate Rotuma day to remind them of what their forefathers had taught them. 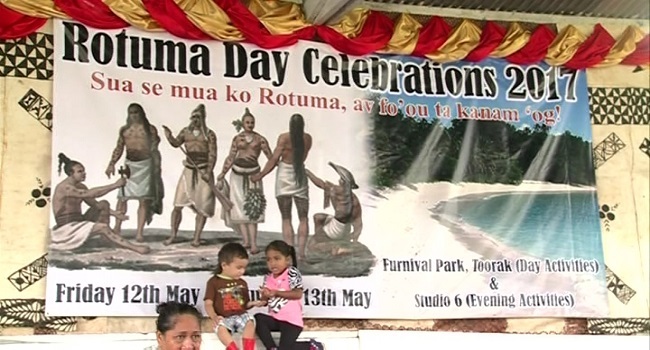 Rotuma Day will be celebrated at Furnival Park in Suva today and tomorrow. Rev. 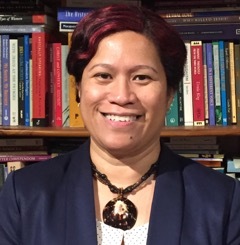 Dr. Seforosa Carroll has been selected by the Center of Theological Inquiry, Princeton, New Jersey as a resident member of the 2017-2018 Research Team on the Inquiry on Religion and Migration led by the Center's Senior Fellow, Professor Peter Phan. The working title of Sef's research is Reimagining home: migration, identity and law in a changing climate. The research contributes a particular experience of bringing to bear Pacific Voices on the challenges and effects of climate change, the struggle to maintain the dignity of identity and culture in the context of disappearing islands, the complexities of international law in relation to climate induced migration and the wider theological, ethical and moral implications that are inherent therein. Employing the theme or metaphor of home, Sef's research seeks to analyse the critical role of theology and faith in reimagining home in a violently changing climate. Sef will be working together with a team of ten scholars of varying disciplines from across the world in Princeton on the broader multidisciplinary Inquiry on Religion and Migration from January to May 2018. ROTUMA has made a very significant contribution towards Fiji's development as a nation. And for this, Government is committed towards the development of Rotuma because it has the potential to contribute to further developments of Fiji's economy. Assistant Minister for Agriculture Viam Pillay made these remarks during the opening of the Rotuma Agriculture show in Malhaa today. "The importance of Rotuma to the Ministry of Agriculture relates to its potential in terms of food and income security, the sustainable soil management as the basis for food systems, fuel and fiber production, essential ecosystem and better adaptation to climate change for present and future generations," Mr Pillay said. "The key strategic priorities for economic development include export promotion and import substitution, raising investment levels and making more land available for productive and social purposes." Mr Pillay said under social development, the focus was directed towards reducing poverty, avoiding early school dropout including the provision of basic education, improving health service delivery and developing other infrastructures like roads, jetties, shipping services and airports. "The key strategic priorities for economic development include export promotion and import substitution, raising investment levels and making more land available for productive and social purposes." he added.